Hens and Chickens never disappoints, even though I took very few images due to a ton of sediment clouding up the water. 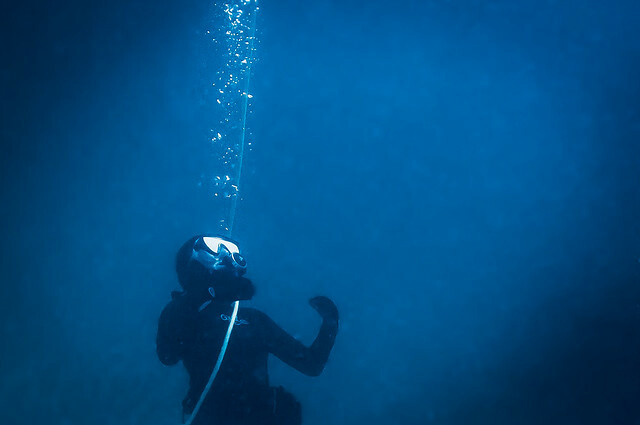 An average day underwater beats a great day topside! 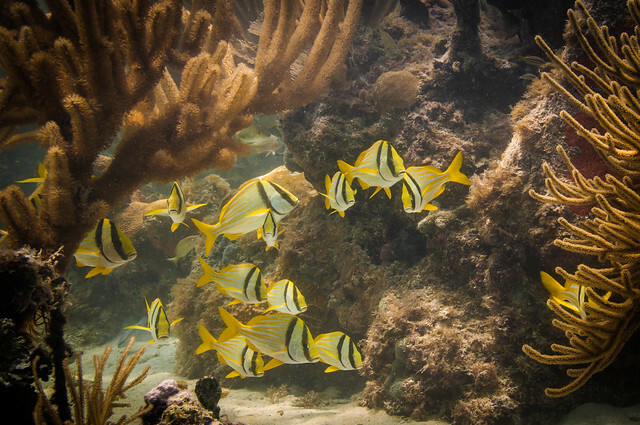 A large cluster of porkfish on the reef. 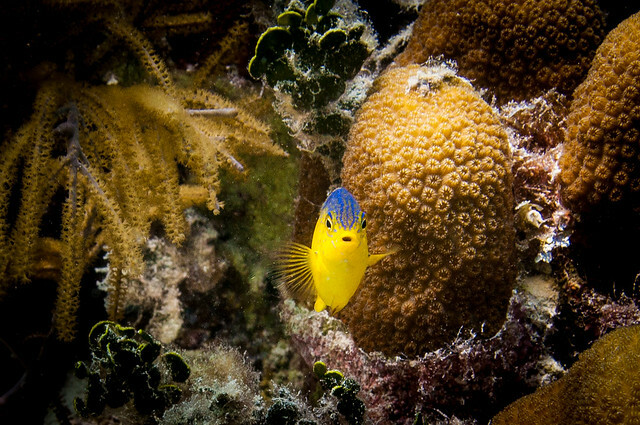 A juvenile longfin damselfish stares me down.